Celebrating 35 years of GRASS GIS! Today marks 35 years of GRASS GIS development – with frequent releases the project keeps pushing the limits in terms of geospatial data processing quality and performance. GRASS (Geographic Resources Analysis Support System) is a free and open source Geographic Information System (GIS) software suite used for geospatial data management and analysis, image processing, graphics and map production, spatial modeling, and 3D visualization. Since the major GRASS GIS 7 version, it also comes with a feature rich engine for space-time cubes useful for time series processing of Landsat and Copernicus Sentinel satellite data and more. GRASS GIS can be either used as a desktop application or as a backend for other software packages such as QGIS and R. Furthermore, it is frequently used on HPC and cloud infrastructures for massive parallelized data processing. In 1982, under the direction of Bill Goran at the U.S. Army Corps of Engineers Construction Engineering Research Laboratory (CERL), two GIS development efforts were undertaken. First, Lloyd Van Warren, a University of Illinois engineering student, began development on a new computer program that allowed analysis of mapped data. Second, Jim Westervelt (CERL) developed a GIS package called “LAGRID – the Landscape Architecture Gridcell analysis system” as his master’s thesis. Thirty five years ago, on 29 July 1983, the user manual for this new system titled “GIS Version 1 Reference Manual” was first published by J. Westervelt and M. O’Shea. With the technical guidance of Michael Shapiro (CERL), the software continued its development at the U.S. Army Corps of Engineers Construction Engineering Research Laboratory (USA/CERL) in Champaign, Illinois; and after further expansion version 1.0 was released in 1985 under the name Geographic Resources Analysis Support System (GRASS). The GRASS GIS community was established the same year with the first annual user meeting and the launch of GRASSnet, one of the internet’s early mailing lists. The user community expanded to a larger audience in 1991 with the “Grasshopper” mailing list and the introduction of the World Wide Web. The users’ and programmers’ mailing lists archives for these early years are still available online. In the mid 1990s the development transferred from USA/CERL to The Open GRASS Consortium (a group who would later generalize to become today’s Open Geospatial Consortium — the OGC). The project coordination eventually shifted to the international development team made up of governmental and academic researchers and university scientists. Reflecting this shift to a project run by the users, for the users, in 1999 GRASS GIS was released under the terms of the GNU General Public License (GPL). A detailed history of GRASS GIS can be found at https://grass.osgeo.org/history/. The development on GRASS GIS continues with more energy and interest than ever. Parallel to the long-term maintenance of the GRASS 7.4 stable series, effort is well underway on the new upcoming cutting-edge 7.6 release, which will bring many new features, enhancements, and cleanups. As in the past, the GRASS GIS community is open to any contribution, be it in the form of programming, documentation, testing, and financial sponsorship. Please contact us! This entry was posted in FOSSGIS, GFOSS, GIS, GRASS, GRASS development, OSGeo on July 29, 2018 by neteler. This is the first release candidate of the upcoming major release GRASS GIS 7.2.0. The new GRASS GIS 7.2.0RC1 release provides more than 1900 stability fixes and manual improvements compared to the stable releases 7.0.x. About GRASS GIS 7: Its graphical user interface supports the user to make complex GIS operations as simple as possible. The updated Python interface to the C library permits users to create new GRASS GIS-Python modules in a simple way while yet obtaining powerful and fast modules. Furthermore, the libraries were significantly improved for speed and efficiency, along with support for huge files. A lot of effort has been invested to standardize parameter and flag names. Finally, GRASS GIS 7 comes with a series of new modules to analyse raster and vector data, along with a full temporal framework. For a detailed overview, see the list of new features. As a stable release series, 7.2.x enjoys long-term support. … further binary packages for various Linux distributions and Mac OSX will follow shortly. 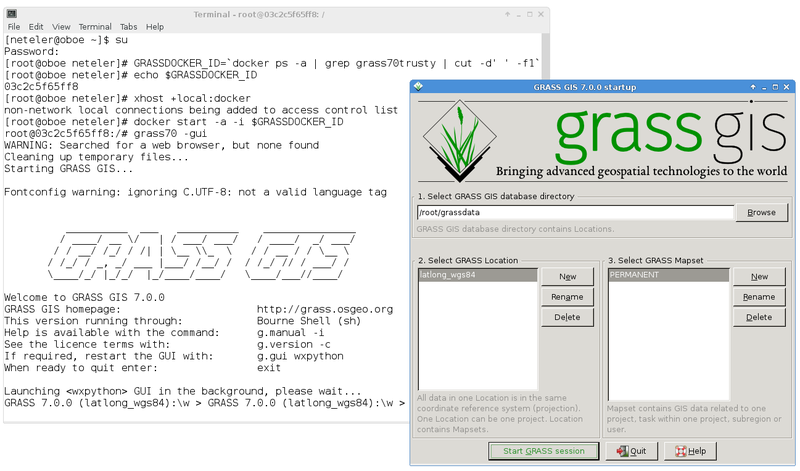 To get the GRASS GIS 7.2.0RC1 source code directly from SVN, see here. This entry was posted in GRASS, GRASS development, OpenSource, OSGeo on October 29, 2016 by neteler. 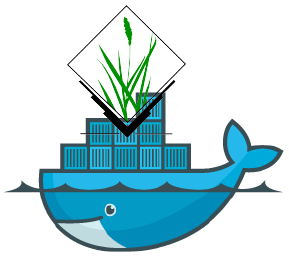 This entry was posted in Blog, GRASS, GRASS development, OpenSource, OSGeo on December 18, 2013 by neteler. GRASS GIS, commonly referred to as GRASS (Geographic Resources Analysis Support System), is the free Geographic Information System (GIS) software with the longest record of development as FOSS4G community project. The increasing demand for a robust and modern analytical free GIS led to the start of GRASS GIS 7 development in April 2008. Since GRASS 6 more than 10,000 changes have been implemented with a series of new modules for vector network analysis, image processing, voxel analysis, time series management and improved graphical user interface. The core system offers a new Python API and large file support for massive data analysis. Many modules have been undergone major optimization also in terms of speed. The presentation will highlight the advantages for users to migrate to the upcoming GRASS GIS 7 release. This entry was posted in Blog, FOSS4G, GRASS, GRASS development on November 9, 2013 by neteler. The GRASS GIS community is delighted to present the outcome of the 4th Community Sprint that took place in a warm and sunny Prague, Czech Republic, from July 12 to July 18, 2013. The event happened after the Geoinformatics conference at the Czech Technical University in Prague. The Community Sprint was once more a creative gathering of both long-term and new developers, as well as users. This meeting was held in the light of 30 YEARS OF GRASS GIS! We wish to cordially thank the Department of Mapping and Cartography, Faculty of Civil Engineering, Czech Technical University in Prague for hosting and technical support. In particular, we gratefully acknowledge our association sponsors OSGeoÂ and FOSSGIS e.V., and many individual donors: Peter LÃ¶we, Andrea Borruso, Massimo Di Stefano, Alessandro Sarretta, Joshua Campbell, Andreas Neumann, Jon Eiriksson, Luca Casagrande, Karyn O Newcomb, Holger Naumann, Anne Ghisla, Helena Mitasova and Lubos Mitas, Dimitris Tamp, Mark Seibel, Markus Metz, and Tawny Gapinski. TheseÂ financial contributions were used to cover costs such as meals and to help reducing travelling and accommodation expenses for participants with far arrival who came on own expenses. Developers and users who joined the event came from various countries like Italy, Czech Republic, Slovak Republic, Poland, Sri Lanka/France, USA and Germany. meeting between Google Summer of Code 2013 mentor and students. The Geographic Resources Analysis Support System, commonly referred to as GRASS GIS, is an Open Source Geographic Information System providing powerful raster, vector and geospatial processing capabilities in a single integrated software suite. GRASS GIS includes tools for spatial modeling, visualization of raster and vector data, management and analysis of geospatial data, and the processing of satellite and aerialÂ imagery. It also provides the capability to produce sophisticated presentation graphics and hardcopy maps. GRASS GIS has been translated into about twenty languages and supports a huge array of data formats. It is distributed freely under the terms of the GNU General Public License (GPL). GRASS GIS is an official project of the Open Source Geospatial Foundation (OSGeo). This entry was posted in Blog, Community Sprint, GIS, GRASS, GRASS development, OpenSource, OSGeo on July 29, 2013 by neteler. 830 updates to the source code since 6.4.2. As a stable release series, the 6.4 line will enjoy long-term support and incremental enhancements while preserving backwards-compatibility with the entire GRASS 6 line. Key improvementsÂ ofÂ this release include some new functionality (assistance for topologically unclean vector data), major speedup for some vector modules, fixes in the vector network modules, fixes for the wxPython based portable graphical interface (attribute table management, wxNVIZ, and Cartographic Composer). A number of new modules have been added for processing LANDSAT and MODIS satellite data, and a new vector statistics module is also introduced. Many new symbols and north arrows are available, and the user will find an improved and easier to use wizard for creating custom project locations with precise map projection and datum support. Community-contributed add-on modules are now more easily and robustly installed from an online archive. Other major developments include enhancements to the Python scripting library and numerous software-compatibility fixes and translation updates. Important is the enhanced portability for MS-Windows (native support, fixes in case of missing system DLLs). And we welcome Romanian as our twenty-fourth language! Â http://trac.osgeo.org/grass/wiki/Release/6.4.3-NewsFirst time users should explore theÂ first steps tutorialÂ after installation. GRASS (Geographic Resources Analysis Support System) is a free and open source Geographic Information System (GIS) software suite used for geospatial data management and analysis, image processing, graphics and map production, spatial modeling, and 3D visualization. GRASS GIS is currently used in academic and commercial settings around the world, as well as by many governmental agencies and environmental consulting companies. 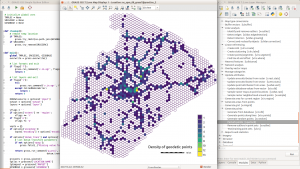 GRASS GIS can be used either as a stand-alone application or as backend for other software packages such as QGIS and R geostatistics. It is a founding member of the Open Source Geospatial Foundation (OSGeo). This entry was posted in Blog, GRASS, GRASS development on July 27, 2013 by neteler.